Science Alive presentations are designed with your students in mind. As educators, we are keenly aware of the educational needs and fundamental differences between grade levels and instructional content. As stated, our programs are developed based on Michigan's Science Benchmarks and Grade Level Curricula. And since every program occurs in the classroom, your students receive a concise, well planned science lesson structured especially for them. Along with our animals, we incorporate items within the classroom to maximize our concepts: white boards, maps, globes, plants, class pets, books, etc. Additionally, we may draw upon science projects or lessons that the students are working on at the time of our visit. Pre-visit materials, detailing information contained in the program (objectives, vocabulary words, project ideas, etc), are provided to teachers prior to our visit to maximize the educational impact of the presentation. 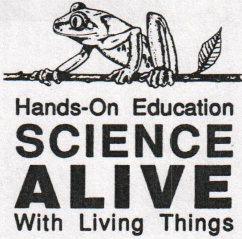 All Science Alive presentations are age and grade level calibrated and emphasize the scientific process. Some programs are adaptable to multiple grades. We are skilled at reading our audience and adapting content as needed (we joke "Animal Friends" could be modified into a college level course if need be!). All are just under 60 minutes, include teacher pre-visit materials, and a diverse selection of live animals. ​ *NOTE: Please see the dropdown under "School Programs" for more information. Upon request we can accommodate a school-wide theme covering any topic of vertebrate biology. However, the above programs fit perfectly with standard science curricula, guarantee animal diversity, and are generally recommended. Please call our office at (248) 738-8000 to find out more!